You hare arrived. This House is Complete, a Buyer's dream Home. 5 Bedrooms; 4 up and 1 down; equipped masterfully, with inviting Living Room which draws you right into Family room with a natural flow. Kitchen is one of a kind; Granite tops. You have to see to believe. The entire house is freshly repainted and redecorated; New elegant flooring, New Air conditioning; NEW window blinds;Solar Panels grace the roof. Seen the drive way? & the swing? 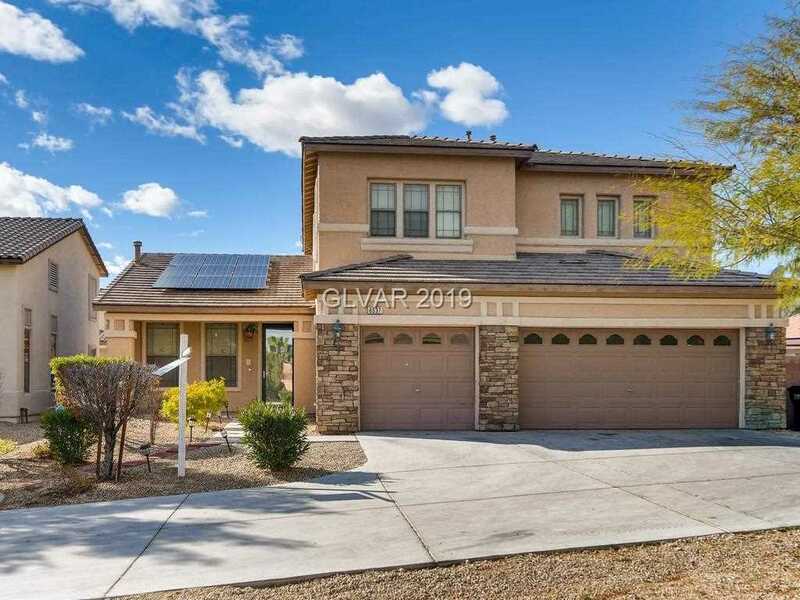 Listing provided courtesy of Las Vegas Realty LLC.